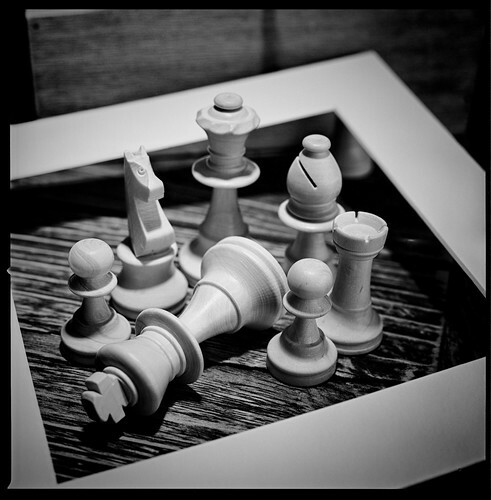 The King is dead…, a photo by Davidap2009 on Flickr. A little table top fun with my Hasselblad 203FE with the Carl Zeiss 80mm F2.8 FE mounted on an E32 extension tube. Taken on my fav black and white film Rollei 80s stand developed in Caffenol for 50 mins at 20℃ with agitation for only the first minute and then left to rest in a water bath for 49mins. Another remarkable shot here David! Great light and superb tones. Thanks too for the technical details!